– The Community Carols by Candelight presented by the Rotary Club of Bendigo at Rosalind Park is where the Bendigo Youth Choir perform again this year. – The Choir perform at The Great Stupa, Bendigo. The Great Stupa is the largest Buddhist monument in the Western world including Australia. The Choir were invited to perform at the Vesak Festival of Light, with a host of other performers including Chinese Lion Dancing, Kandyan Drumming and Lotus Dancing. Inside The Great Stupa Mrs Broad lead the Choir and audience in singing ‘We are Australian’. – the busiest month of the year with performances at Strath Haven and Stella Anderson, entertaining the residents, and other Christmas events such as the Bendigo South Y Service Club lunch, carols at the Kangaroo Flat Uniting Church market, and the last event for the year as the major contributor the Bendigo Community Carols by Candlelight. They also performed with the Bendigo Chorale in a joint concert at the Forest Street Uniting Church Vivaldi’s ‘Gloria’. – following on from the recording of the song ‘Home’ for the Bendigo for Homeless Youth Project, the Choir were a ‘surprise’ performer in the Bendigo Town Hall at the furndraiser and song launch for the Project. The Choir also sang at the request of the City of Greater Bendigo at the Order of Australia function. – Again, at the invitation of the Victorian Premier, the Choir performed at the official opening of the sitting of the Legislative Assembly for the Victorian Government in the Bendigo Town Hall. The Choir also performed a ‘Thank You’ Concert where people who had assisted the Choir to achieve their very successful tour were invited to be enteratined and share the journey. – the Choir, at the invitation of the Victorian Premier, were the performers at the Official Welcome Home Celebrations for the Olympians at Federation Square in Melbourne. 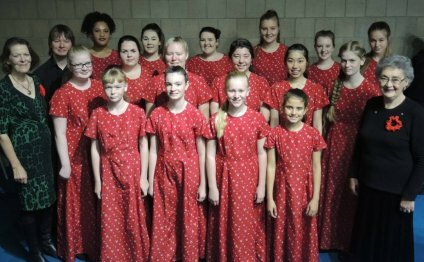 – the Bendigo Youth Choir triumphantly toured the USA and competed in the World Choir Games in Cincinnati, Ohio, achieved a silver medal scoare in three sections including ‘Youth Choirs of Equal Voices’, ‘Folklore’ and ‘Musica Sacra’. – the Bendigo Youth Choir performed their ‘Bon Voyage’ Concert at the Capital Theatre with the support of the City of Greater Bendigo. This was a major fundraiser for their upcoming World Choir Games Tour. – the Bendigo Youth Choir, with the support of a grant from the City of Greater Bendigo, was able to workshop with Australian composer, Mr Stephen Leek. – the Bendigo Youth Choir returned to perform at the invitation of the Victorian Governor and his wife at the open day on Australia Day at Government House in Melbourne. Not only did the choir entertain guests for the day they were able to personally meet the Governor and his wife, and also the Victorian Premier Mr Ballieu and Mrs Ballieu. – the choir performed through a busy Christmas period as the lead performers at the Annual Carols by Candlelight. They also performed at the Kangaroo Flat Uniting Church community market, Stella Anderson and Strath Haven, along with a fundraising Concert for Kangfluca. The Reserve and Bendigo Primary Schools Choir were a highlight at the City of Greater Bendigo event for the Lighting of the Christmas Tree. This performance was the highlight of a fantastic project that was supported by the Choir and also the Council and our young performers were fantastic, entertaining the hundreds of children and parents in attendance in Rosalind Park in Bendigo. – the performing Choir provided a moving performance for family members and staff at a Memorial Service for the local Palliative Care. The Bendigo Youth Choir continued to give back to the community and support the local City of Greater Bendigo by performing at the National Citizenship ceremony. the performing Choir returned to work with the Maiden Gully / Marong Lions Club and provide entertainment for the Ladies Legacy Luncheon held in the historic Marong Hall. – many members of the Bendigo Youth Choir performed in the production of ‘The Shepherd King’ which was presented by Kangfluca, and written by one of the Choir’s musical staff, Mrs Valmai Harris. – the Choir performed at the morning service for the local Bendigo RSL at the Memorial in Pall Mall. The choir was also represented by Sam Kane who provided a solo performance at the Dawn Service. – performance at the World Youth Day celebrations at TelstraDome in front of approximately 40, 000 pilgrims.